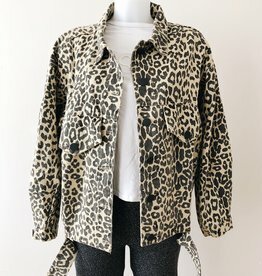 Go make some new adventures in this amazing animal print jacket! Our Alexis Printed Cheetah Jacket features trendy printed dots and runs oversized. Style this stunner with a pair of flared trousers and you are ready to go! Also available in zebra and leopard print. 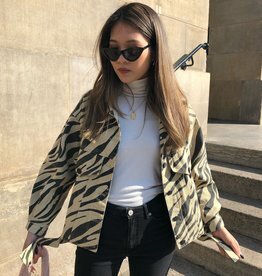 ♡ Model wears normally size S and wears this jacket in size S/M. Her length is 167 cm.